Sign up to win a GraceTech bag! 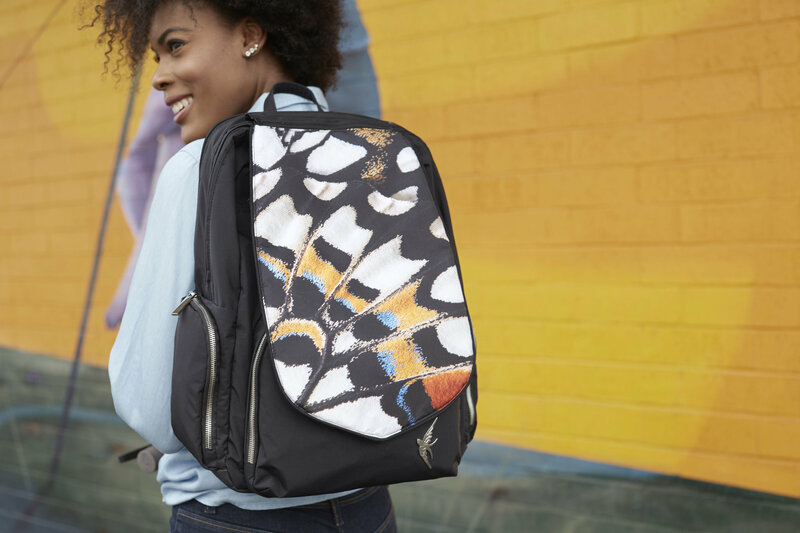 It’s time your laptop bag is as beautiful and creative as you are. Now you don’t have to sacrifice style for comfort and utility. GraceTech features stunning prints you can easily change when the season changes or when you just feel like you want a new look. No need for a new bag, just change the shell. GraceTech bags are beautiful inside and out. 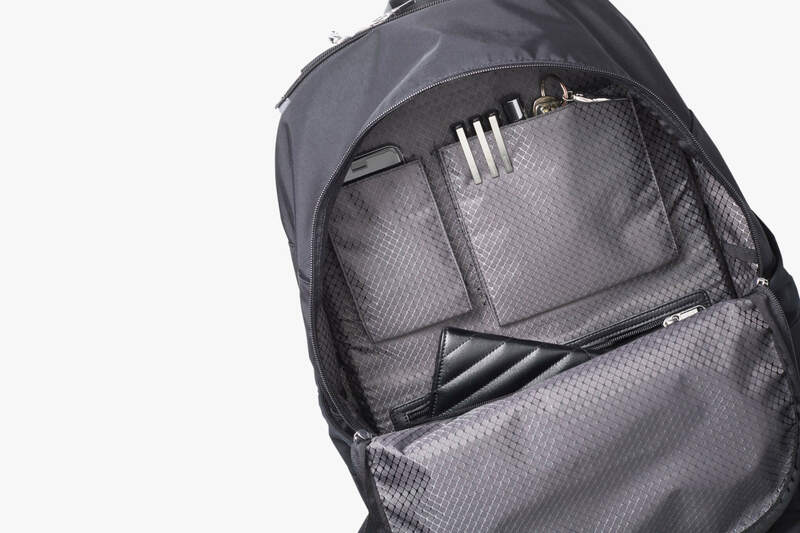 Engineered with all the functionality you need to carry your technology everyday. The craftsmanship is easy to see in the clean finished edges inside and out. Exceptional attention to detail inspires a statement of passion, beauty, and grace. Win amazing prizes by joining our VIP community! We’re giving away some awesome prizes, including several GraceTech bags for free. Sign up using the box to the right, then share this contest and refer your friends to earn more points. The individuals with the most points at the end of the contest will win. You can view our terms and conditions here. 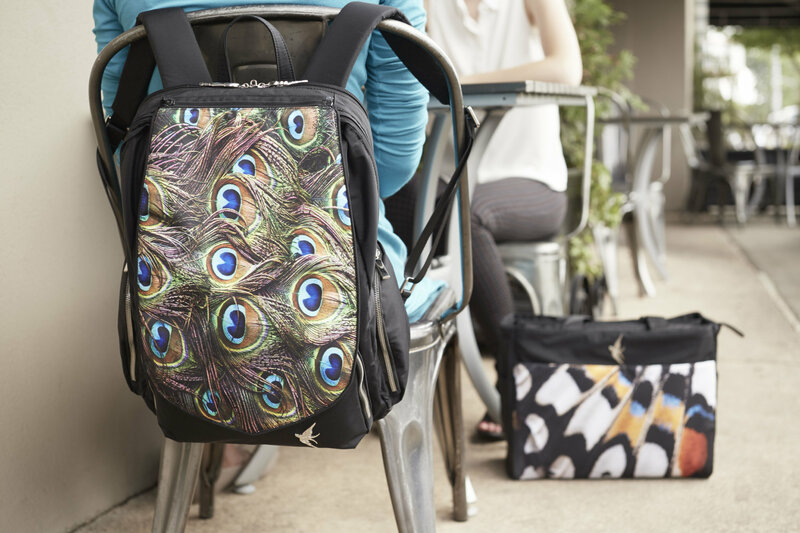 You can change the print on your bag in seconds, so you can put together your own original look. Easily zip-off one shell then zip-on a new one! No need to move your essentials from one bag to another, just change the shell. It’s like having a new bag every time you change the pattern. The shell fabric has a luxurious, smooth feel that is strong enough for everyday use and is water-resistant to get you through all kinds of conditions. 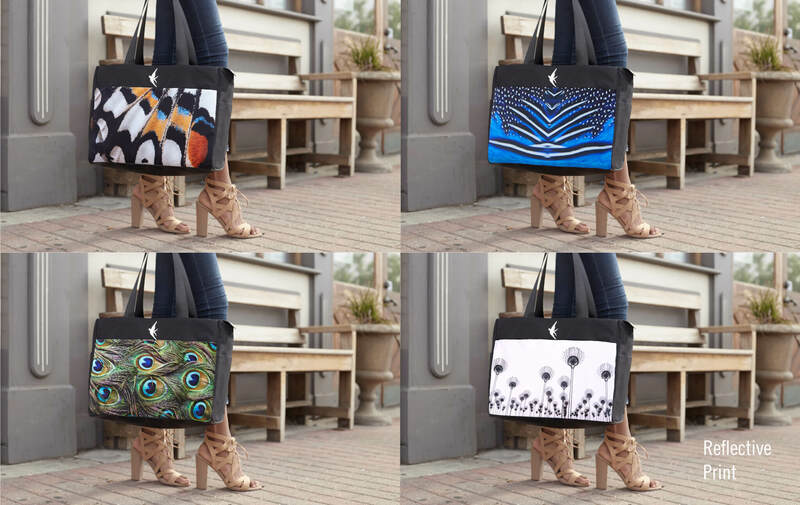 Three distinct styles let you carry your laptop the way you like— in a shoulder tote, cross-body bucket or backpack. 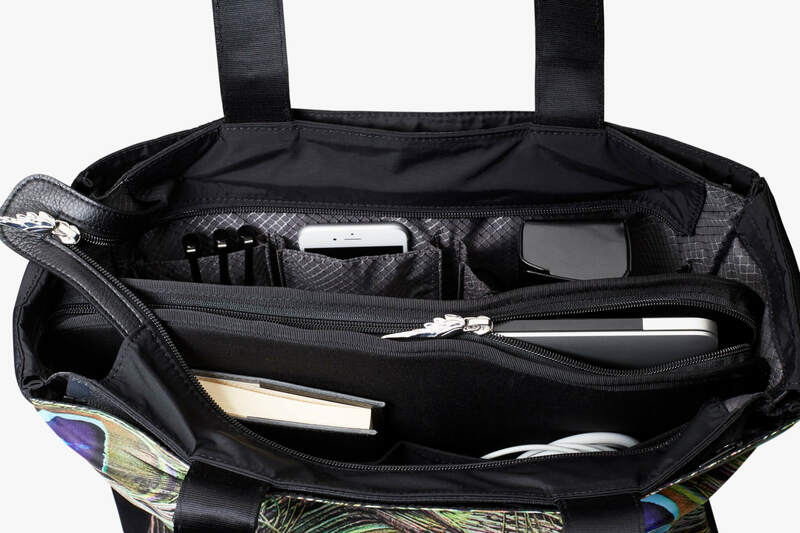 Each style has a laptop pocket, a zippered RFID blocking pocket for your wallet, gusset pockets for your phone and additional pockets for other essentials. 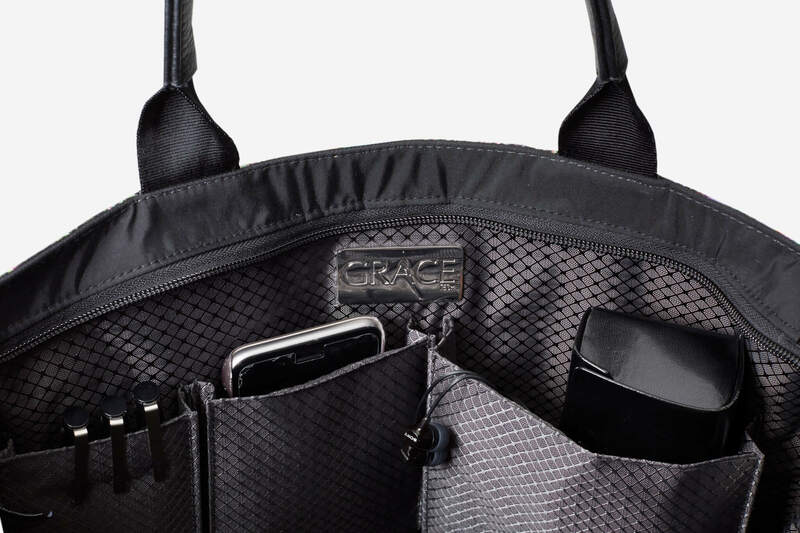 However you choose to carry your technology, GraceTech designs are feminine, functional and beautiful. This season’s custom prints showcase the beauty of nature. High resolution photographs highlight the natural beauty of jewel-tone feathers and brilliant pops of color on butterfly wings. A limited edition print on special reflective material shows the intricate structure of a flower seen by x-ray. When the light hits the reflective material in low light, it turns the fabric brighter for better visibility. The GraceTech hardware is patented and one-of-a-kind. The badge is styled after a beautiful soaring bird. The custom zipper pull is a 3D version of the wing. Take a look at the organized interior of our bags! Enter your email or connect your Facebook account to earn points and win!